The Angel Quilt Project Needs Your HELP! The Angel Quilt Project hasn't added a story. The Angel Quilt Project was founded in 2000 by James Farmer to make unique handmade quilts for premature infants and critically ill children primarily in the US, UK, and Canada though quilts have been sent all over the world. Hand cross stitched as well as machine embroidered panels in child-friendly colors and themes are made into quilts and then presented to the various hospitals. In its 13 years, the AQP has presented over 53,000 quilts to these stressed families, knowing that such acts of kindness bring a small ray of sunshine and hope. Rising postal costs have eaten into the small funds raised and we can use your help to keep going. Our stitchers and quilters pay for the majority of their own cost of materials, so our biggest expense is delivery of the completed quilts to the various hospitals. Please do visit our website and/or Facebook page for pictures and more information about our project. The Angel Quilt Project hasn't posted any updates yet. 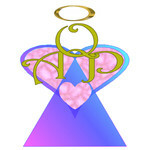 The Angel Quilt Project is managing the funds for this campaign.